Parmesan Oven Roasted Green Beans are the perfect side dish for holidays or family dinners! 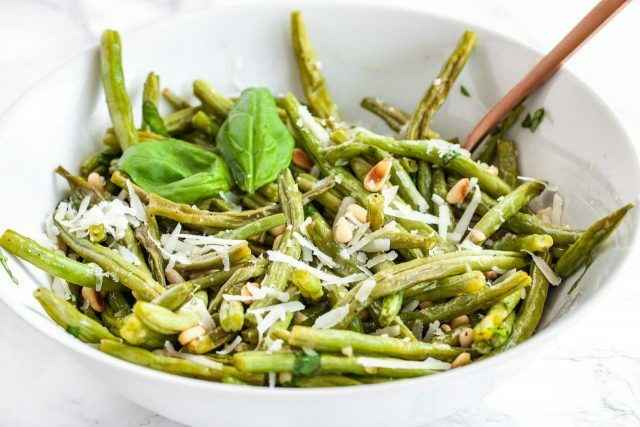 Roasted in the oven to perfection, tossed with a flavorful lemon vinaigrette and sprinkled with parmesan and pine nuts, this easy dish is the most delicious way to enjoy fresh green beans. Oven Roasted Green Beans are so flavorful and easy to make! 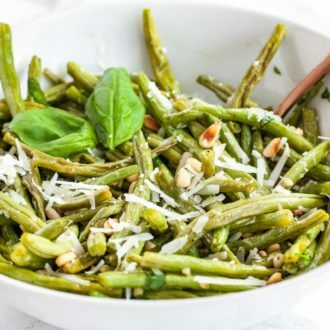 Tossed with a simple lemon vinaigrette and sprinkled with freshly grated parmesan cheese and toasted pine nuts these green beans are bursting with fresh flavors and bring a new spin to a dinnertime staple! The dressing takes fresh green beans to a whole new level of deliciousness! 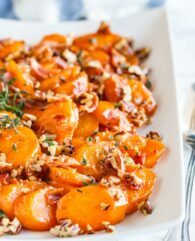 With so many holidays right around the corner, this easy side dish would be a delicious addition to your dinner table. 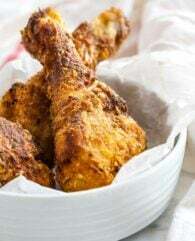 It’s always a hit and easy to make from scratch even if you’re not a pro in the kitchen. 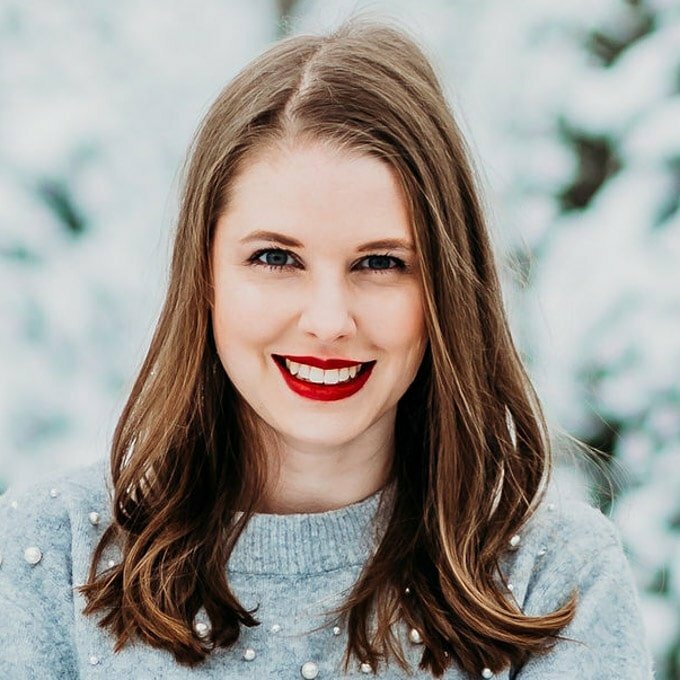 My husband and I love green beans in every variation but our favorite way to eat them is roasted. Roasting brings out so much flavor and I love the texture. Often roasted green beans are dry and taste more like leather, but not these! 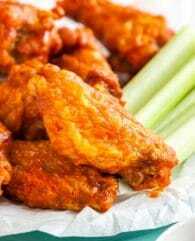 They are moist on the inside and full of flavor. Let me show you how I make them! To make trimming the green beans easier and quicker, line up a handful of green beans on one side, then in one slice, cut off all the tips at once. Flip them around, line up the tips again, and trim off the other side. Trim off about 1/4 of an inch on each side. Roasting the beans covered with foil for the first 10 minutes at high heat steams them gently and keeps them moist on the inside. When the foil is removed the added sugar helps with the browning and helps to develop a caramelized roasting aroma. Freshly grated Parmesan tastes best! Shred the Parmesan on the large holes of a box grater. Be careful not to burn the Pine Nuts! 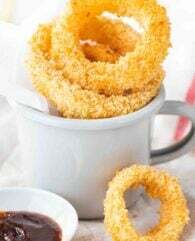 Toast them in a dry skillet (do NOT add oil) at medium-high heat until golden brown. These Roasted Green Beans would make a great side dish for Thanksgiving or Christmas! 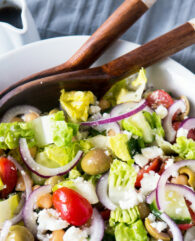 Looking for more easy side dishes for the holidays? WANT TO TRY THIS OVEN ROASTED GREEN BEANS RECIPE? Parmesan Oven Roasted Green Beans are a perfect side dish for holidays or family dinners! 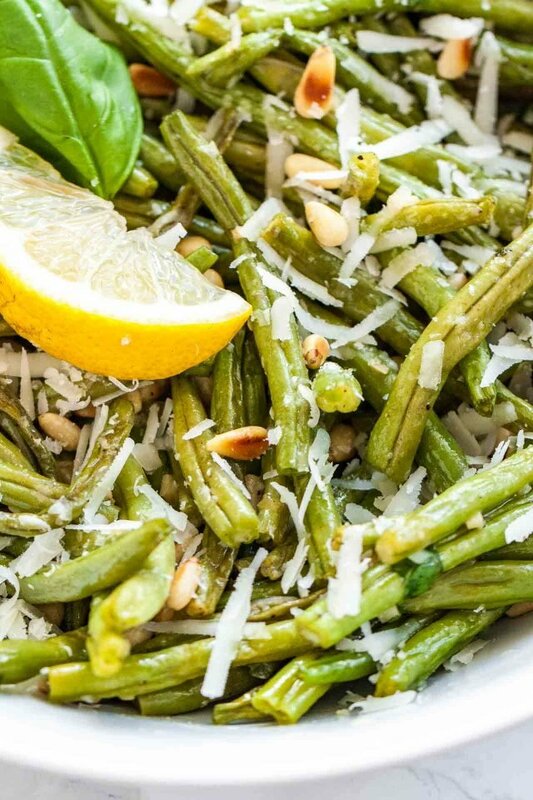 This recipe is the most delicious way to enjoy fresh green beans. Preheat oven to 475°F and adjust the oven rack to the lowest position. 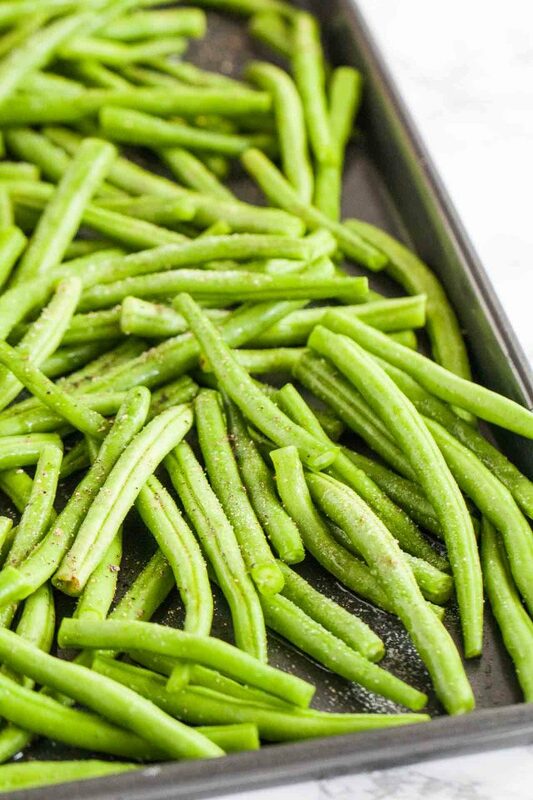 On a rimmed baking sheet combine green beans, olive oil, sugar, salt, and pepper until the green beans are evenly coated. Cover sheet with aluminum foil and roast in the oven for 10 minutes. Remove the foil and roast for 10 more minutes until green beans are spotty browned, stirring after half of the time has passed. Meanwhile, heat 3 tbsp olive oil in a small saucepan over medium heat. Add minced garlic and cook for 1 minute. 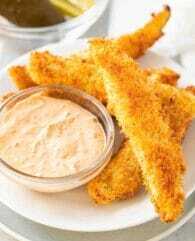 Whisk lemon zest, lemon juice, Dijon mustard, 1/4 teaspoon salt, and 1/4 teaspoon pepper into garlic mixture. 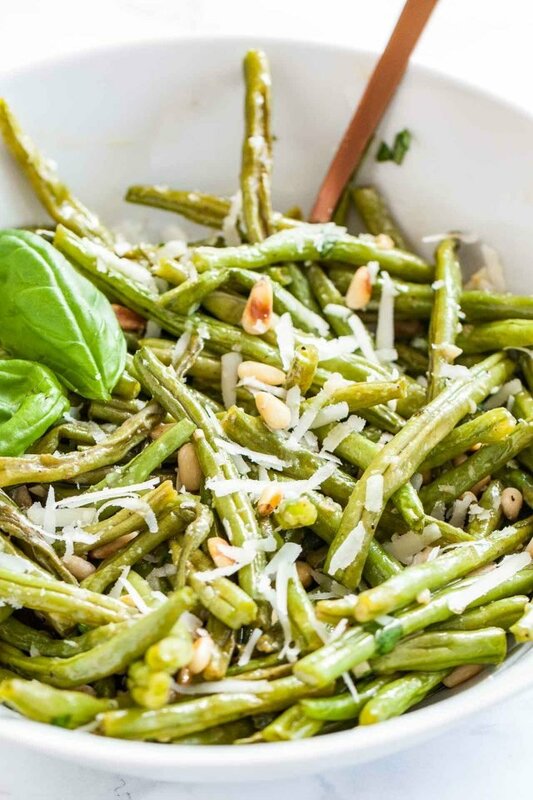 Combine green beans, dressing, and basil in a bowl. Toss to combine. 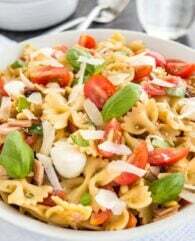 Transfer to a serving platter and sprinkle with Parmesan and pine nuts.